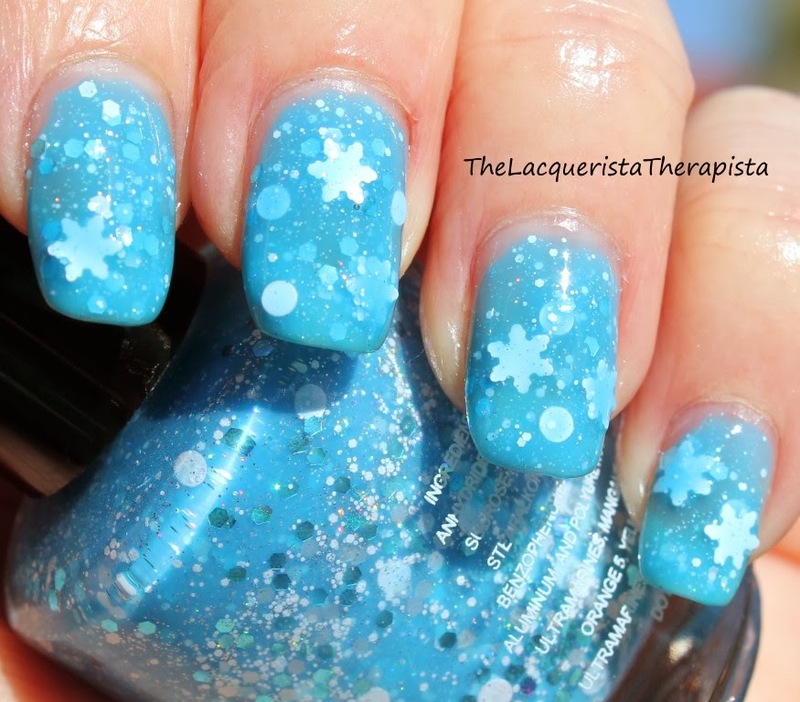 Anyway, on to two polishes from KBShimmer's 2013 Holiday Collection, Snow Flaking Way and Snow Much Fun. First up is Snow Flaking Way. 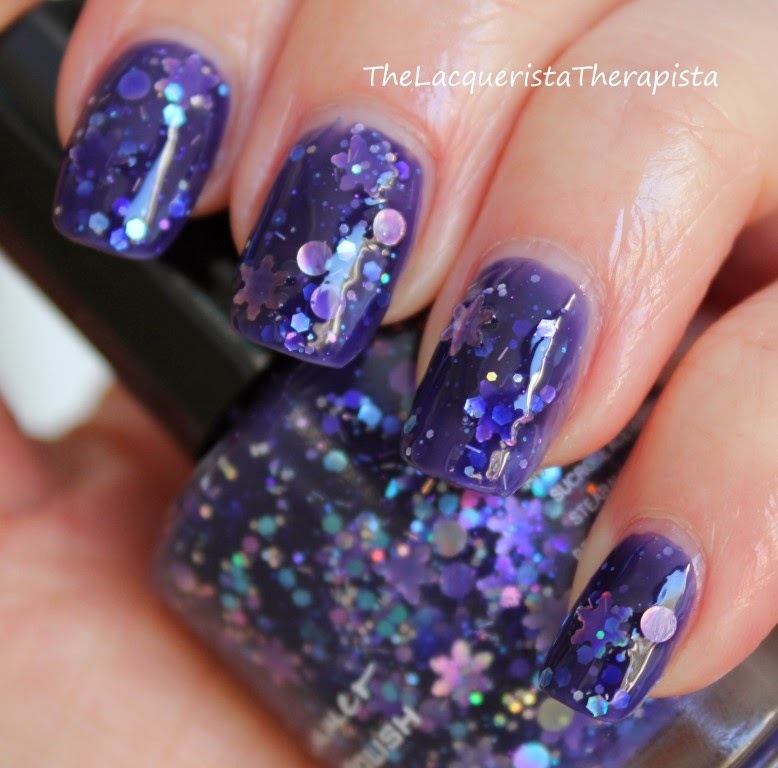 This polish has a rich indigo jelly base with iridescent snowflake glitter,iridescent circle glitter (large and small), lavender and light blue hex glitter, and a small amount of tiny iridescent bar glitters. 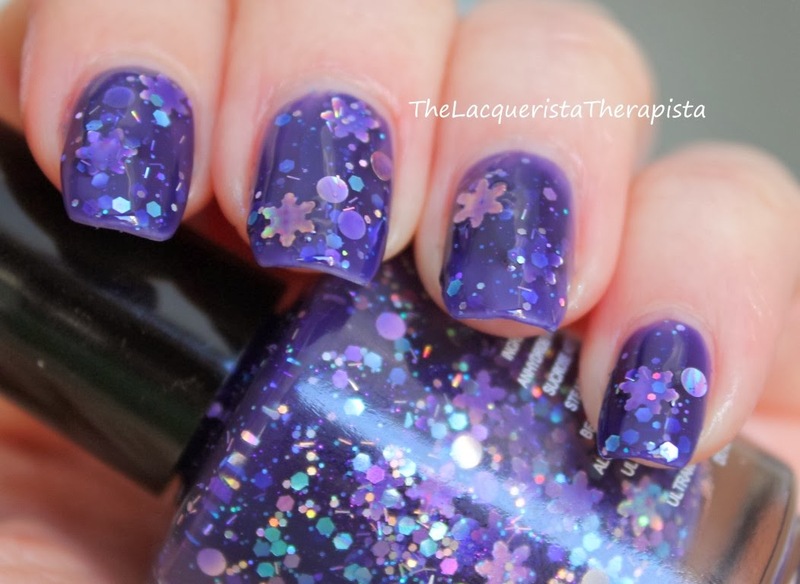 This polish is so pretty! As is normal with large glitter, the snowflakes were a little tricky to get out. Large glitters tend to sink. Definitely need to fish them out and dab them on. 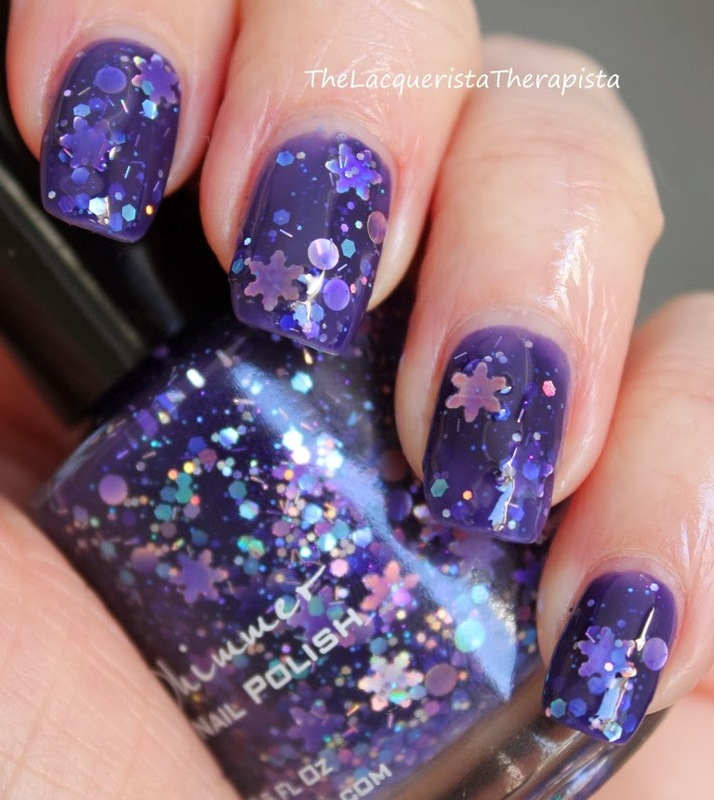 It's a little extra work, but for a polish this pretty, I have no problem with that. 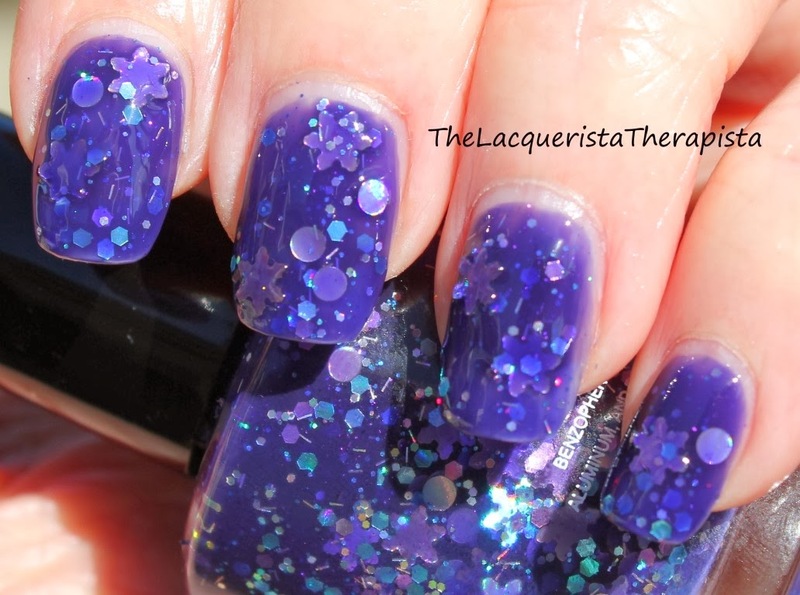 I used 3 coats for these photos. Next up is Snow Much Fun. 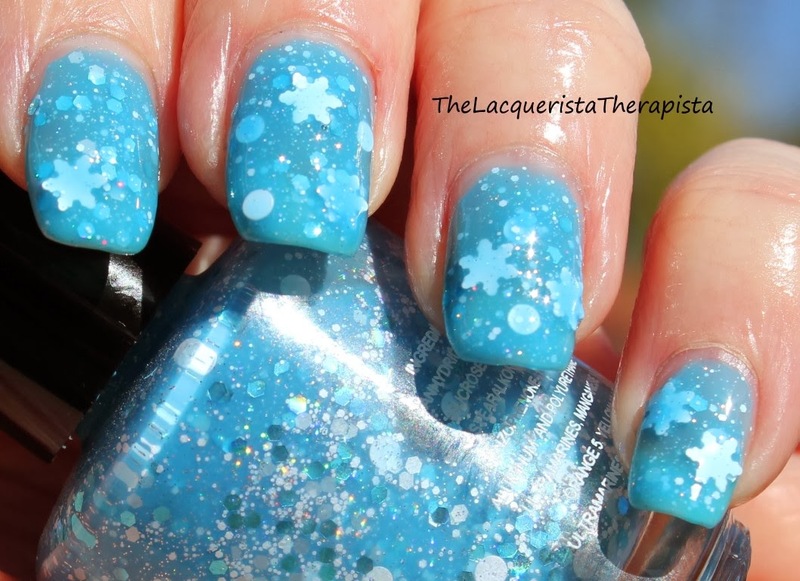 This polish has a sky blue jelly base with white snowflake glitter, large white circle glitter, iridescent light blue hex glitter, matte gray hex glitter, and lots of tiny white and iridescent microglitter. 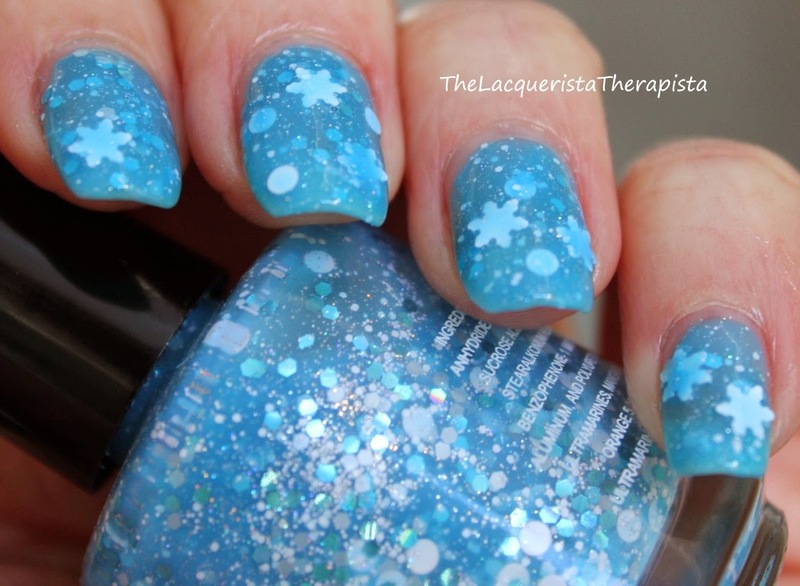 Similar to Snow Flaking Way, the large snowflake glitter needs to be fished out. For some reason, the snowflake glitters didn't lay as flat as they did in Snow Flaking Way, but again, for a polish so pretty, I wasn't bothered. 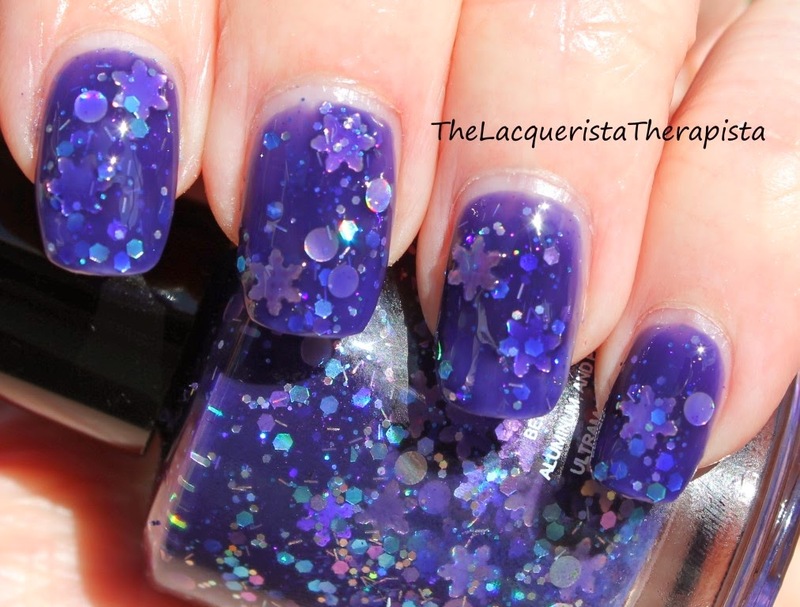 I used 3 coats for these photos. 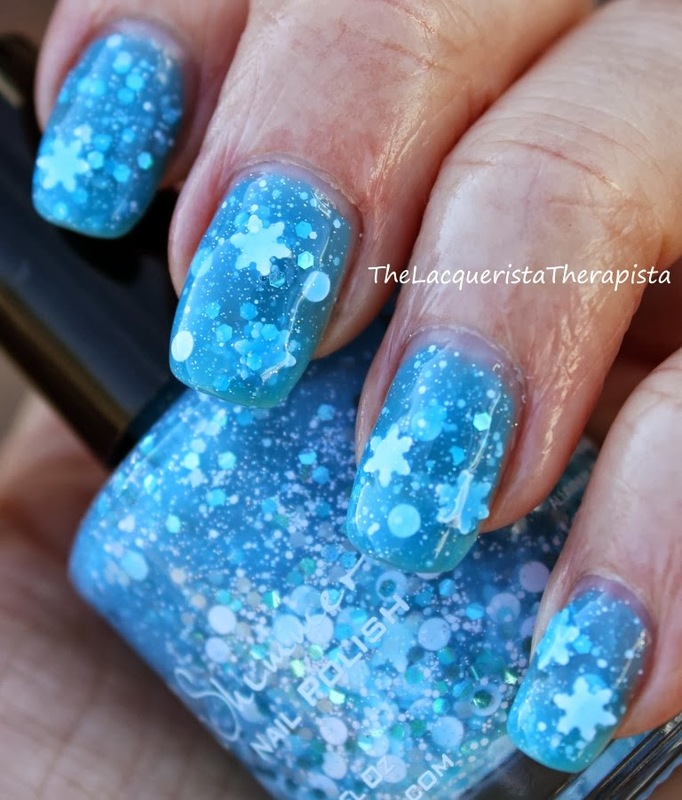 While it might be beach weather outside, at least my nails are wintery! Snow Flaking Way and Snow Much Fun are available on KBShimmer.com. 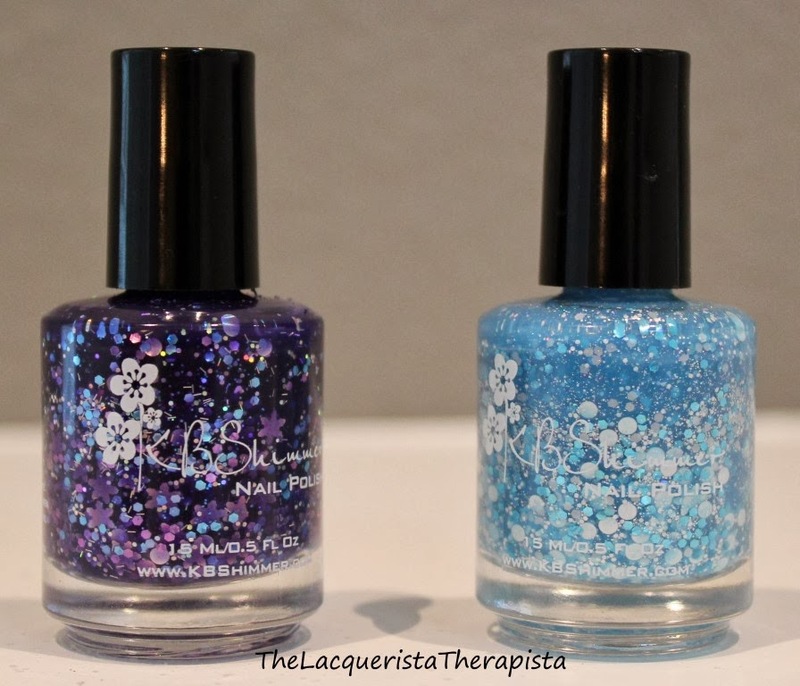 The polishes reviewed in this post are part of my collection and were not provided to me for review. All opinions are my own.